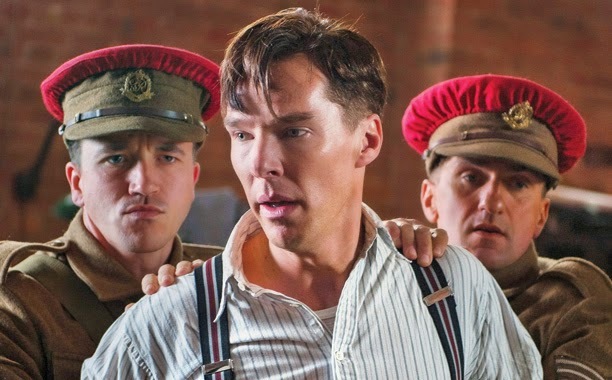 Film review // THE IMITATION GAME. 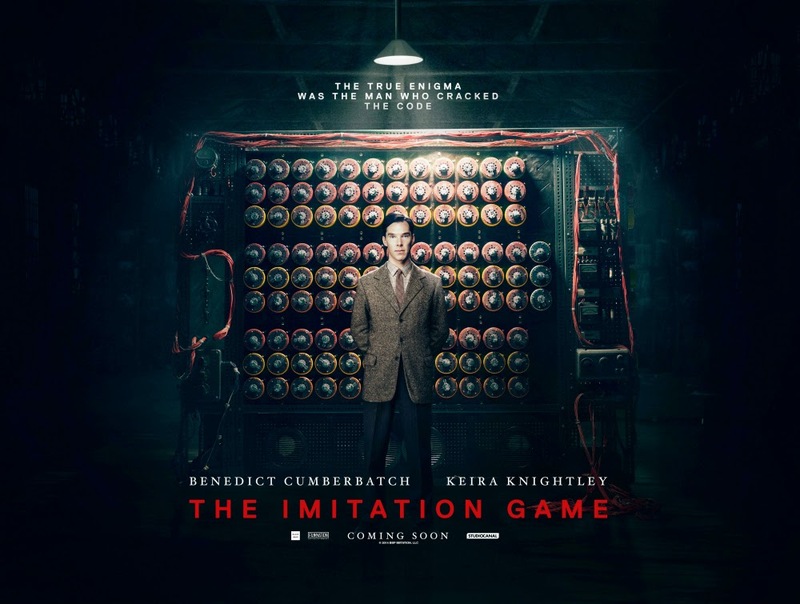 About two hours before seeing this film I didn't have much of an idea about the storyline other than the obvious - it was the true story of the man who cracked the enigma code. I watched the trailer on the way to the cinema (Duke Of York's) and thought to myself, this is going to be good. In the opening scene I was pleased to see a familiar face, Tom Goodman-Hill, (Mr Grove in ITV's Mr Selfridge) playing a role as a rather curious northern police constable. I think its always good to see another British actor on the up. This intro scene is a few years ahead of the main story showing the police investigating what appears to be a home break in. A few moments later Alan Turing (Benedict Cumberbatch) enters the film. I won't go on and write the script, but from that moment on I was hooked to this film. I only really knew of Benedict from another favourite film of mine, 'Atonement' but his appearance in that film was only brief really. The Imitation Game has now put him well up there for me, and I'm sure many others now will agree his performance was exceptional and I could not think of a better person to play the role of such a complex yet humble character. Now for the main story. 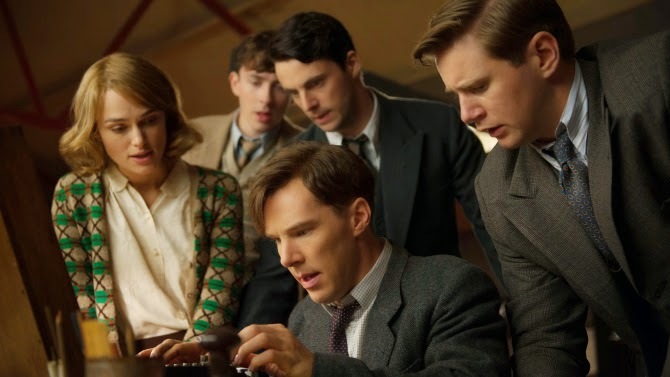 The film is based on the true story of Alan Turing, a young and highly intelligent man with a passion for high level mathematics and puzzles, who would later achieve one of our most important breakthroughs in World War 2. Breaking the Enigma code. The film shows the constant battles he faces with himself, his own government and the people around him in every day life. The film shows some of his earlier school life in which at this point you can really see how someone so smart, and socially awkward would of stood out and struggled to fit in. It was a relief for Joan Clarke (Keira Knightley) to enter the film to help the man out with some much needed social skills, and helping him win the friendship of his colleagues. Just one of the things I loved about this film was the way it was directed (by Morten Tyldum). There is nothing superfluous about it, no gimmicks, nothing over the top, just a nail biting race against time from the word go. The film does include some amazing scenes of the night raids on the city of London by the German bombers during the war, which was to me was a very real reminder of what happened during the war. I couldn't help but pause for thought about the severity of it all and even more now the pressure was building in the film for Alan and his team to crack the code. The Imitation Game includes a well fitted soundtrack, a range of emotions and more than anything a deep sympathy for Alan Turing - a man clearly twenty to thirty years ahead of his time due to his inconceivable knowledge of computing, and being surrounded by people (mainly his own government) who lacked the ineptitude to do anything of the things he struggled even to explain to them. This is a must see movie of 2014 without a shadow of a doubt. A real eye opener I'd imagine for many to the man we owe so much. Many people since have claimed Alan possibly shortened World War II by maybe two years, saving around 14 million lives. In my opinion, he was the very start of the computing technology we since have become surrounded by. My final thoughts were ones of how a man who did so much gained so very little, and ultimately lost everything. I felt almost embarrassed I knew very little of his achievements and how he was treated by his own people at the time. The image above is most of the main cast. As well as Benedict Cumberbatch and Keira Knightly, pictured is Allen Leech (who plays John in the film) who I'm also a fan of because of his role as Branson in Downton Abbey. Behind him is Matthew Beard and Matthew Goode, who make up the set of British actors. Thanks for reading my review, now go and see this amazing movie.